A couple weeks ago, fourteen web companies from Amazon to Zynga banded together to form Washington’s newest lobby shop: the Internet Association. After last year’s hard-fought victory against SOPA and PIPA—a pair of anti-piracy bills that would have held these companies responsible for copyright content posted by users—they figured they need an advocate to prevent Congress from threatening their viability ever again. The Association positions itself as an idealistic avatar of the internet itself. But it also embodies an increasingly obvious tension. 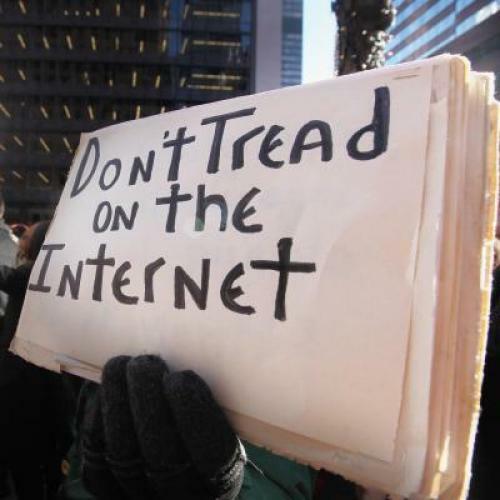 Google, Facebook, and other Internet companies vanquished SOPA and PIPA by serving as megaphones for their users’ outrage, which was loud enough to drown out the entertainment industry’s formidable D.C. machine. Now that these companies have an arm-twisting apparatus of their own, Google’s former public policy chief, Andrew McLaughlin, fears they'll act just like the old-line lobbies they're up against. "When elephants fight, it’s the grass that gets trampled," says McLaughlin, who left Google to join the White House in 2009, and is now an entrepreneur-in-residence at the seed-stage investment firm Betaworks. "What I hope we don't get into is the internet is just another industry." The tech sector, of course, has long been a bigfoot in Washington. It's got trade associations like TechNet and TechAmerica, which have been around for decades. Plus, companies like Microsoft and IBM have long retained their own lobbying squadrons on pet issues, like smoothing the way for a merger or maintaining government contracts. The more internet-focused companies, however, took a little longer to make their presence known—the transcendental web, they figured, operated far above the muck of politics. That's changed over the past few years, as their interests have diverged from the legacy tech giants. Lobbying budgets at Facebook, Yahoo!, Google, and Amazon have ballooned since 2006. They spent a combined $15.7 million in 2011 alone, according to the Center for Responsive Politics, and this year's totals will far exceed that. In Washington, membership groups with coordinated messages carry more weight than companies running around on their own. But the Internet Association is trying not to look like your average influence peddler. A sleek new website describes it as "the unified voice of the internet economy," representing not just the narrow corporate agenda of online companies, but also "their global community of users." Its platform includes "empowering users" as one of its three planks, and executive director Michael Beckerman promises to solicit the views of ordinary folks, with whom he'll "fight shoulder-to-shoulder to make sure that the Internet stays free and innovative." Indeed, the web outlets would never have won the SOPA fight without millions of people signing petitions, blacking out websites, and devoting their social media streams to the cause. To quash the copyright lobby’s next assault, the Internet Association needs to keep itself aligned with the popular front that saved its bacon the last time. There's one glaring omission, however, that should trouble any web citizen: While the Internet Association says it has users’ interests at heart, it makes no mention of its clients’ right to sell their personal information. Facebook, under pressure from investors to monetize its biggest asset—billions of data points on user likes, dislikes, and relationships—has been the one most in the news lately for its efforts to put a price tag on consumer behavior. But most of them, the mammoth Google in particular, depend financially on people being very generous with their data, whether they realize it or not. That’s where the grand coalition starts to break down. Two manifestos in defense of the open internet in the U.S. predate the Internet Association: One by left-leaning groups, like the American Civil Liberties Union and Free Press, and the other by libertarian organizations like the National Taxpayers Union and Competitive Enterprise Institute. Both of them include provisions for user privacy. Even NetCoalition, a ad hoc group that included many of the Internet Association’s members and advocated on their behalf through the SOPA debate, made mention of “consumer protection” with regard to personal information (it’s now being wound down, after a decade in operation). The Internet Association says it doesn’t have a stance on privacy yet because there’s no policy proposal on the table to react to. But clearly, they have a financial incentive to support as few restrictions as they can get away with. If the Internet Association doesn't commit to the rights of the people it claims to represent, it runs the risk of losing its public interest halo. Internet companies are increasingly engaged in a very typical Washington game—but their strength depends on giving the impression that they're not.